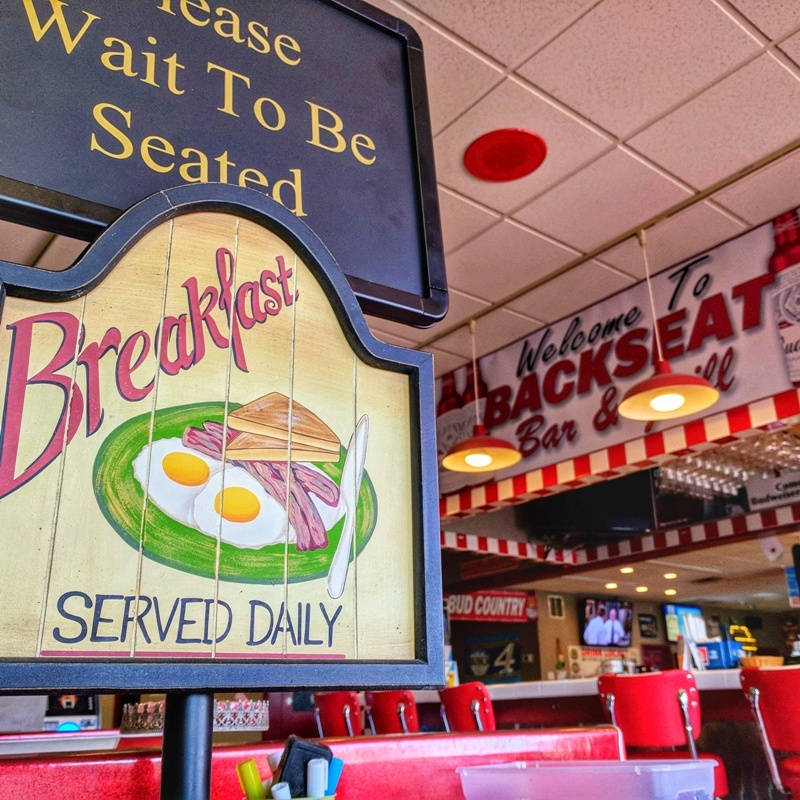 The good old greasy spoon breakfast is alive and well in Winchester and surrounding Frederick County. While we have our share of upscale dining in the area, often times nothing beats a hearty home-cooked breakfast. 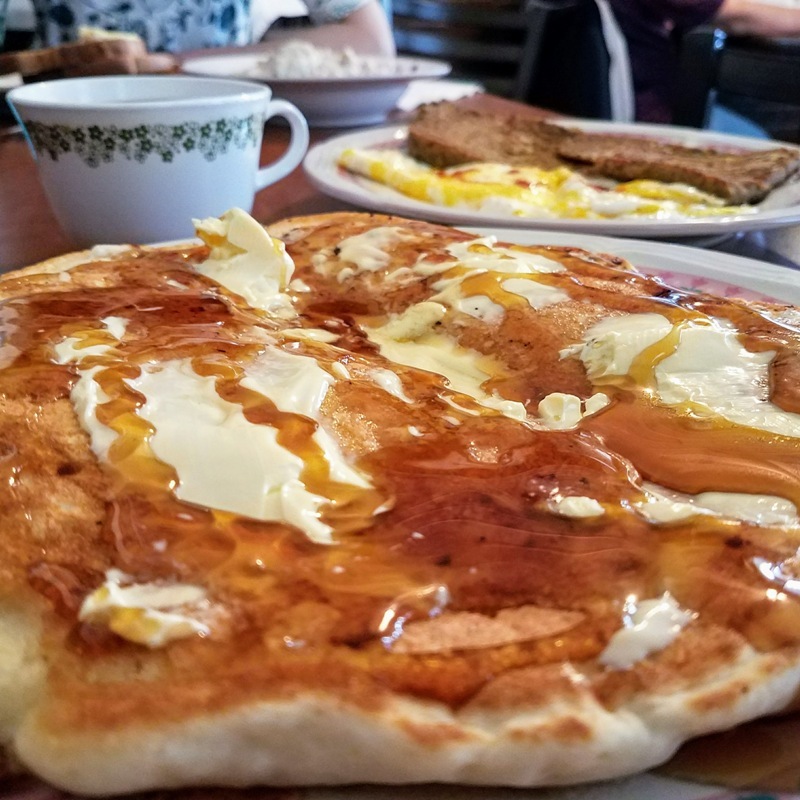 We’re very fortunate to have a wide array of spots located all through the region to satisfy your craving for eggs, bacon, pancakes, waffles and yes, most even have scrapple and grits. Here’s a list, in no particular order, of these great spots! This is one of, if not the most crowded breakfast spots in the area. Locals and visitors of all walks of life pile in here every morning of the week year-round. 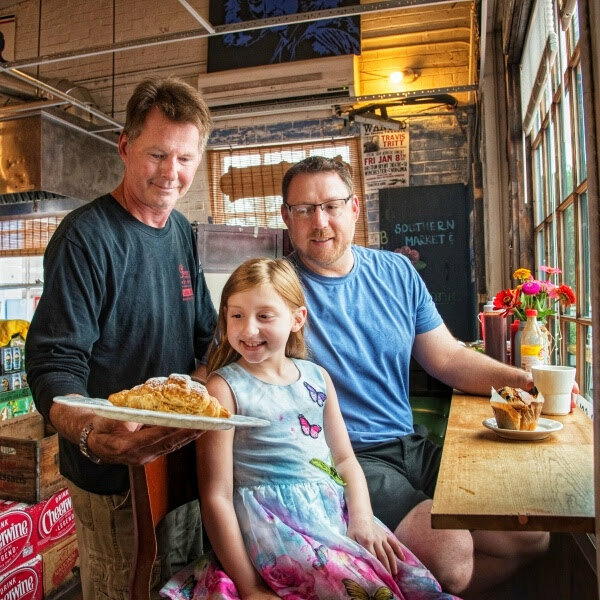 The coffee is hot, the kitchen is quick, and the staff is brimming with southern hospitality. Kids will love the “Millie’s pancake,” which is shaped like their favorite cartoon mouse. (540) 667-1136. 2214 Papermill Rd, Winchester, VA 22601. Breakfast served all day. Facebook page. Located in a renovated Esso gas station, this very unique and exceptionally popular spot offers very large southern style breakfasts (try the homemade biscuits with locally cured bacon bits baked right in). You’ll also find a wide array of local products near the bakery case, including hickory syrup, farm raised eggs and local brews. (540) 686-7490. 334 W Boscawen St, Winchester, VA 22601. Breakfast served all day. Facebook page. 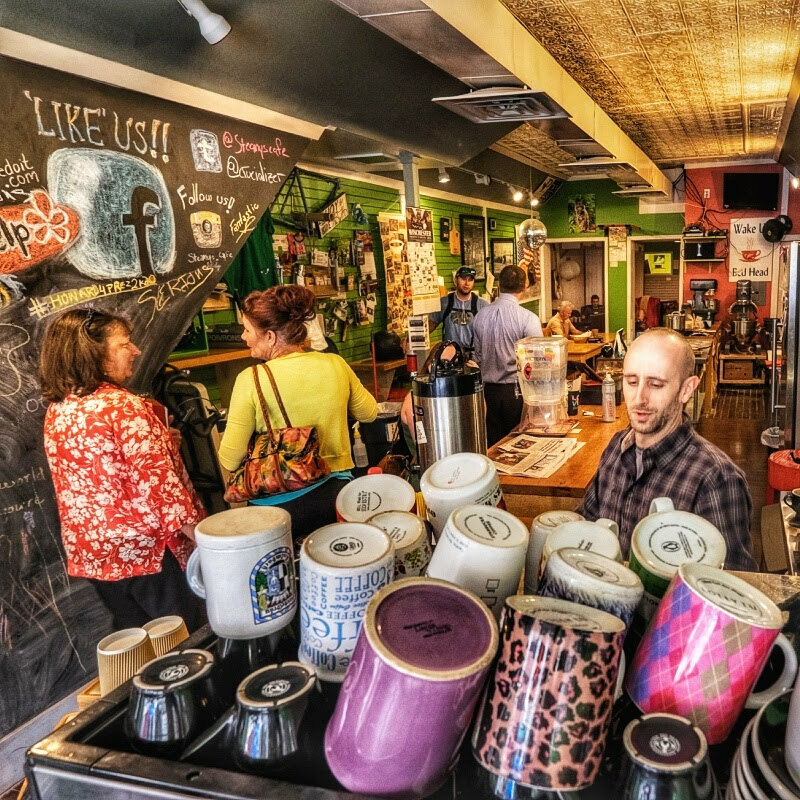 This coffee shop makes the list because of their extremely popular homemade bagels and the wide variety of breakfast bagel sandwiches and in-house baked goods that owner and guy-who-always-remembers-your-name Lenny Sweet creates on a daily basis. Open 7 days a week until around noon, this easy-access spot borders the north end of the Loudoun Street Pedestrian Mall in Old Town Winchester. 38 E Piccadilly St, Winchester, VA 22601. Breakfast served all day. Facebook page. Lynette and Jerri’s Diner. Image by Winchester-Frederick County Tourism. Located across the street from Bonnie Blue, this small traditional diner is very popular with locals, and offers counter and booth seating and quick service with a smile. Originally opened as the Amherst Diner in 1958, it was purchased by employees Lynette & Jerri in 2015 to keep the doors open and thriving. Interesting historic fact – famed polar explorer Rear Admiral Richard Byrd was raised next door (the original house is gone but a historical marker remains). (540) 504-7995. 334 Amherst St, Winchester, VA 22601. Breakfast served all day. A single hotcake at Sunnyside Cafe in Winchester. Image by Winchester-Frederick County Tourism. This very small diner is easy to miss, but you definitely want to find this spot if you can! Owner Arlene is the greeter, waitress and chef at this tiny spot with about 5 tables, however she keeps your coffee cup hot and full and the plates are huge. Guests regularly recommend the biscuits and gravy, but supplies are limited! We recommend a single hotcake to start – wait and see how big it is before ordering more! (540) 678-1292. 1317 N Frederick Pike, Winchester, VA 22603. Breakfast served all day. Want to have breakfast in one of Patsy Cline’s old haunts? Then this is the spot for you. Better known for their fried chicken dinners and evening live music, this rustic bar and grill surprisingly opens at 6am every morning for breakfast and is very kid-friendly with cartoons often playing on the flat screen TV’s during the early hours. Located on Rt 7 headed out of Winchester. (540) 313-4965. 2294 Berryville Pike, Winchester, VA 22603. Breakfast served all day. Facebook page. 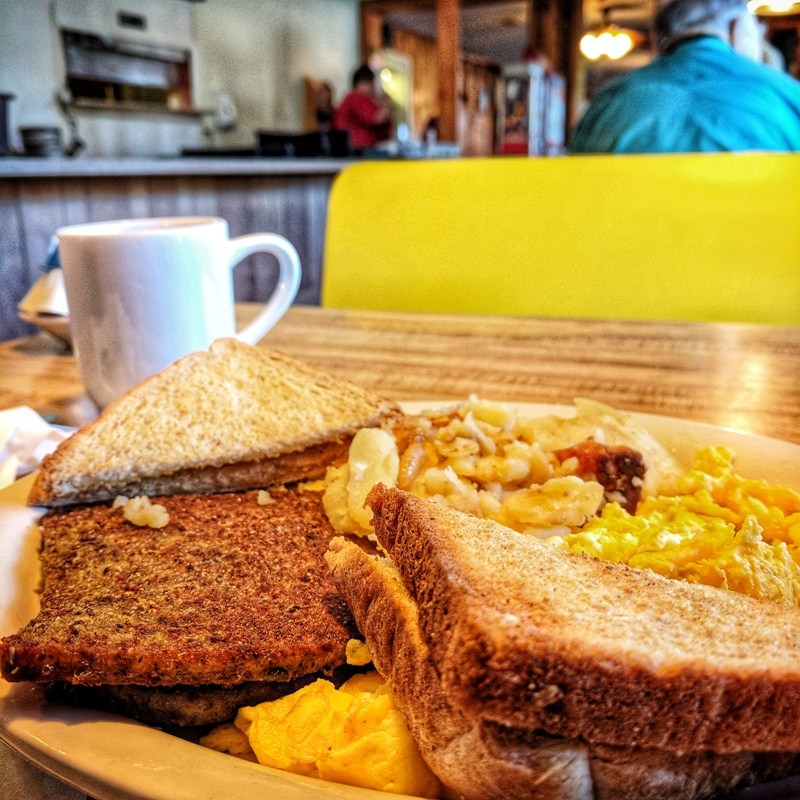 Enjoying the same owners and similar menu as the Granny’s Place location on Rt 7, this smaller breakfast-focused location about 10 minutes south of Winchester in historic Stephens City is a go-to favorite for locals and visitors alike. Find all your home-cooked breakfast favorites on the menu here in a friendly, light atmosphere. Tip: you’ll usually find all you can eat pancake specials on Tuesday for about $5. (540) 508-2434. 5460 Main St, Stephens City, VA 22655. Breakfast served all day. Facebook page. 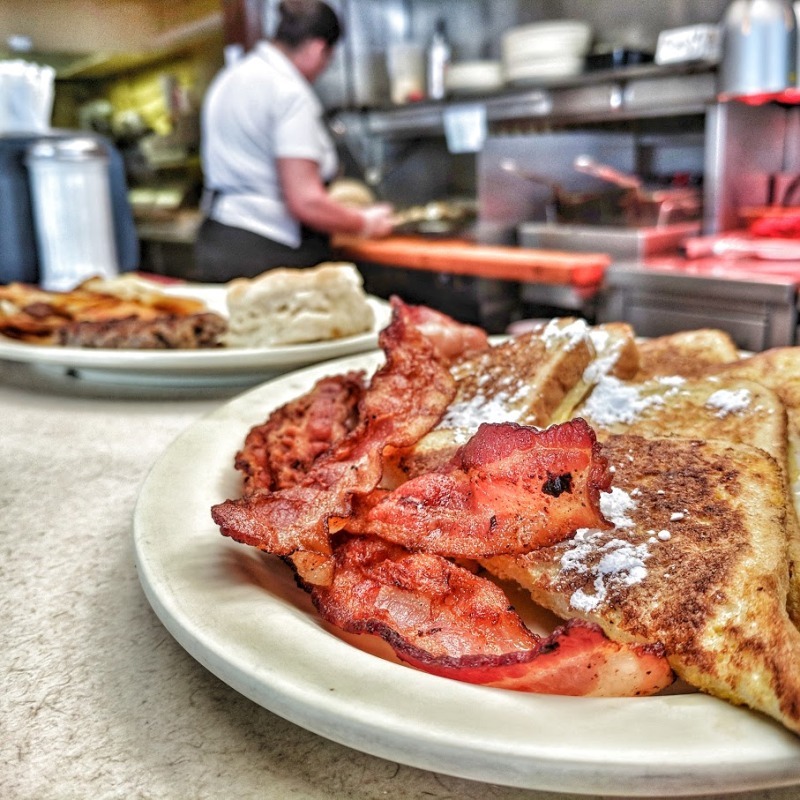 Located just a few storefronts down from Steamy’s, this very intimate counter-service diner offers traditional breakfast favorites in a bustling setting right in Old Town Winchester. Street parking is available as well as garage parking across the street by the George Washington Hotel. (540) 722-7177. 46 E Piccadilly St, Winchester, VA 22601. Breakfast served all day. Facebook page. Backseat Bar and Grill. Image by Winchester-Frederick County Tourism. This is the go-to spot for all-day breakfast on the north end of Winchester. 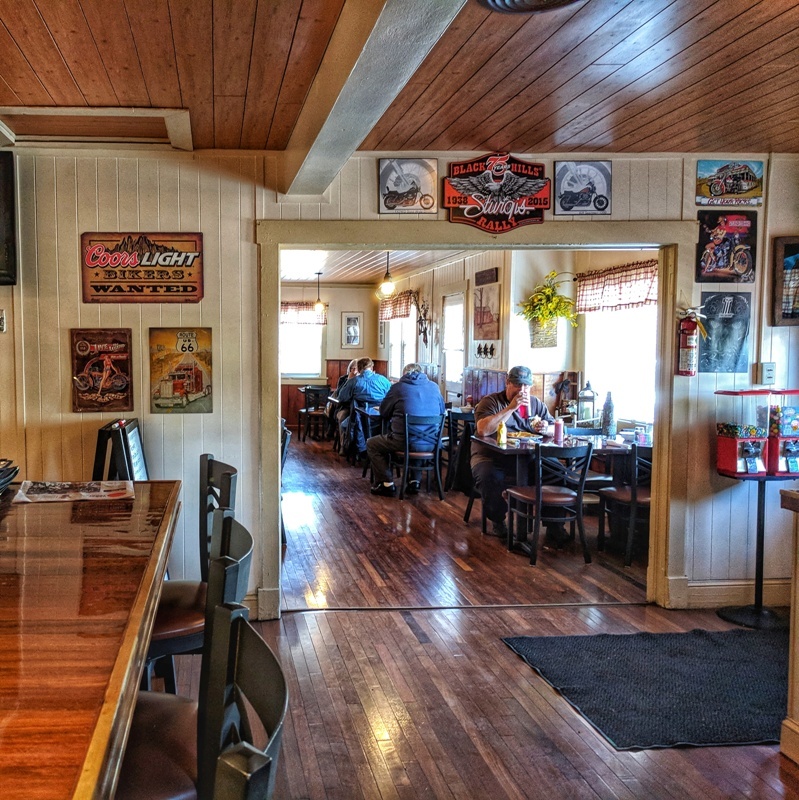 Serving up all sorts of diner classics (like burgers and fries) in addition to your favorite homemade breakfast dishes, this find is easily accessible from Hwy 37 just a minute or two from I-81. (540) 722-7177. 46 E Piccadilly St, Winchester, VA 22601. Breakfast served all day. Facebook page. High Point Diner in Stephens City. Image by Winchester-Frederick County Tourism. Also located in the small historic town of Stephens City, this local diner pumps out plenty of breakfast comfort classics every morning. Tip: look nearby for a replica of ECTO 1 from the original Ghostbusters, which can occasionally be seen in the area! (540) 869-2469. 5106 Main St, Stephens City, VA 22655. Breakfast served all day. Facebook page. Breakfast at the Hayfield Family Restaurant. Image by Winchester-Frederick County Tourism. This is a true country restaurant where you can rub elbows with the locals and meet some great folks. The menu is simple, the plates are as big as the smiles and the coffee is hot. Located about 10 minutes west of Winchester, this is a great spot to get a hot breakfast while exploring the countryside, visiting farm markets, or viewing foliage in the fall. (540) 877-1004. 5340 Northwestern Pike, Gore, VA 22637. Breakfast served until 11am. Just up Hwy 50 from the Hayfield Family Restaurant is this very busy local favorite. Fast service, country smiles, and hearty servings are a benchmark here. This is yet another great spot to get a hot breakfast while exploring the countryside, visiting farm markets, or viewing foliage in the fall. (540) 877-1178. 5665 Northwestern Pike, Gore, VA 22637. Breakfast served all day. Facebook page.